Improving the lives of others through love and strength. Thanks to everyone's hard work, Haloti won the 2017 #WPMOYChallenge with over 2 million mentions on social media! As a result, Haloti has been provided $25,000 for the HNFF by Nationwide! Thank you to Nationwide and everyone who helped make this possible! More details are available here: http://www.nfl.com/manoftheyear. 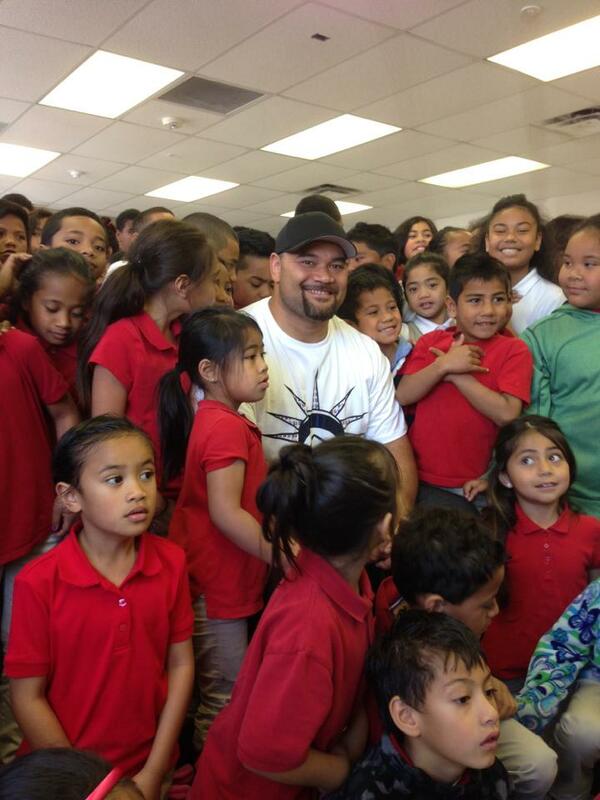 Welcome to the official website of the Haloti Ngata Family Foundation. 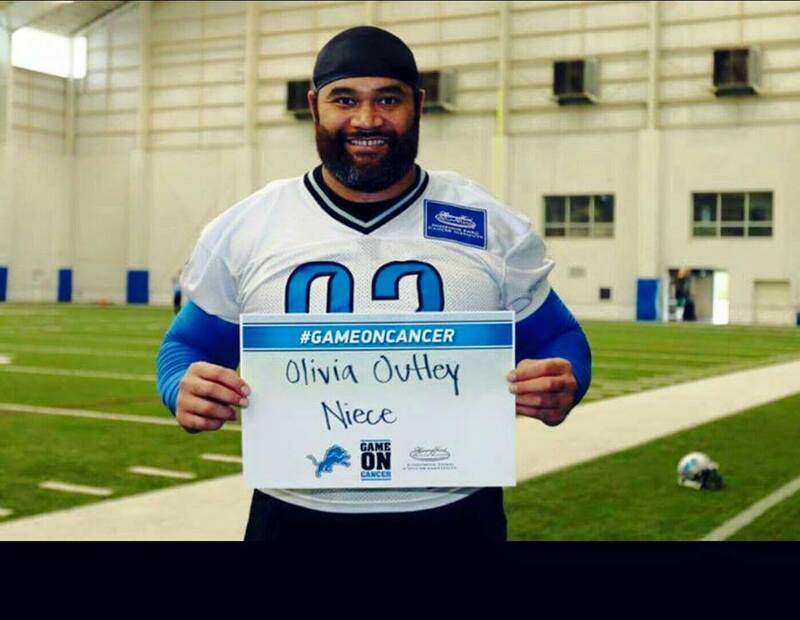 This is the authoritative source for information about the charitable outreach of five-time NFL Pro Bowl defensive tackle, Haloti Ngata, and his wife, Christina. The Ofa Ngata Fund is one of our most significant projects. You can learn more in this video and here: Haloti Ngata's mom rescued him, so now he's rescuing others. Bryant Middle School held a ribbon cutting ceremony on October 27, 2016 to welcome in $8,000 in new books to its library. The funds for the books were donated by the Haloti Ngata Family Foundation and raised during the inaugural "I Love YoU Man" golf tournament hosted by Coach Ron McBride and Coach LaVell Edwards. Given that providing deserving students with access to education resources is a priority for the HNFF and because Haloti attended Bryant as a middle school student, the HNFF was honored to be a part of the event and sends its sincerest thanks to Coach Ron McBride for letting us be a part of it and for his vision in making it happen! The Haloti Ngata Family Foundation was honored to be a part of the inaugural Utah Legends "I Love YoU Man" Golf Tournament hosted by Coaches Ron McBride and LaVell Edwards. The tournament raised over $40,000 for the HNFF and all of the funds will be used to assist educational institutions in Salt Lake City. We thank Coach McBride and Coach Edwards for their vision in organizing this great event. You can learn more about the tournament here: http://www.ksl.com/?sid=40503830&nid=294&title=best-friends-former-rivals-lavell-edwards-ron-mcbride-team-up-for-charity-golf-event. THANK YOU TO EVERYONE WHO ATTENDED OUR SECOND ANNUAL OFA NGATA COLLEGE PREPARATION FUND LUAU. YOU HELPED US RAISE $30,000.00 FOR ACT PREPARATION CLASSES FOR DESERVING STUDENTS IN SALT LAKE CITY. IN ADDITION, THANK YOU TO EACH SPONSOR AND DONOR WHO MADE THE WHOLE NIGHT POSSIBLE. THANK YOU AND WE LOOK FORWARD TO NEXT YEAR! YOU CAN SEE MORE PICTURES ON OUR OFA NGATA FUND PAGE. 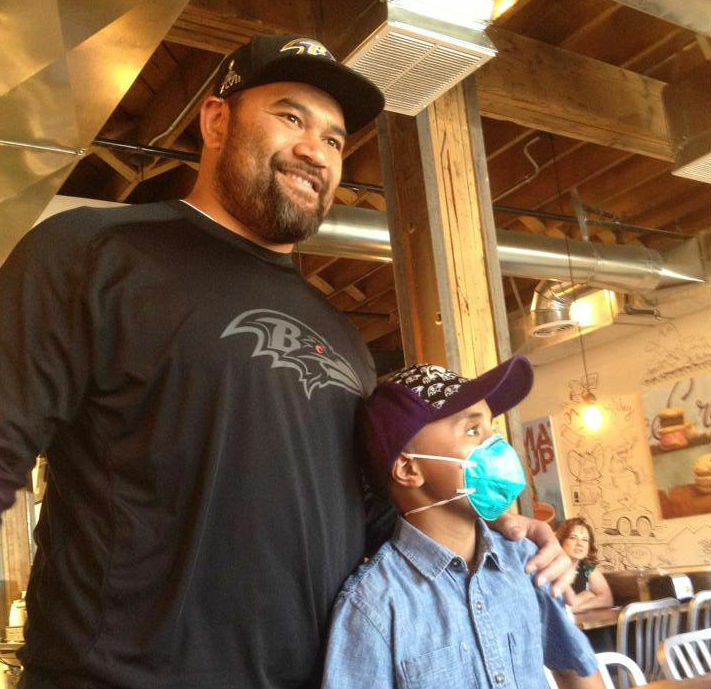 Haloti Ngata received rave reviews for his third annual luau in Baltimore in 2014. Haloti and Christina Ngata surprised their new friend, Nathan, with a dream trip to see Haloti play in M&T Bank Stadium.